Pinnacle Polymers™ LLC operates one of the most modern Unipol ™ facilities in North America. 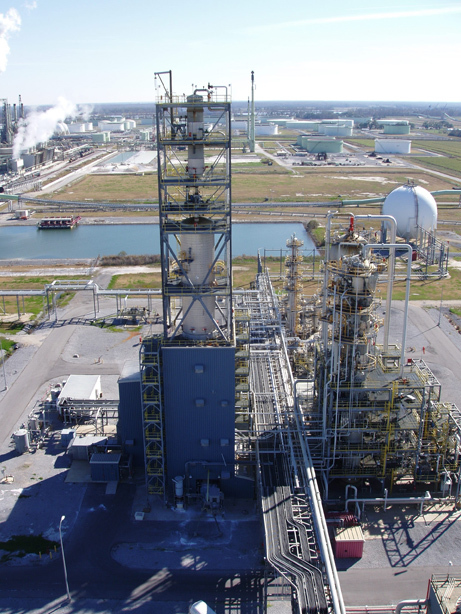 Our two production lines located in Garyville, Louisiana can produce in excess of one billion pounds of polypropylene per year. Pinnacle's homopolymers, impact copolymers and random copolymers are all proven performers. We participate in many markets including injection molding, fibers, and extrusion. Pinnacle Polymers has perfected lean manufacturing. As a result of our highly efficient operations we continue to be a vibrant and healthy company well poised to service customers in North America and around the world. Our focus on efficient operations is combined with a strategic location, superb product, and excellent customer service. This formula has helped our customers compete and thrive in a challenging business environment.